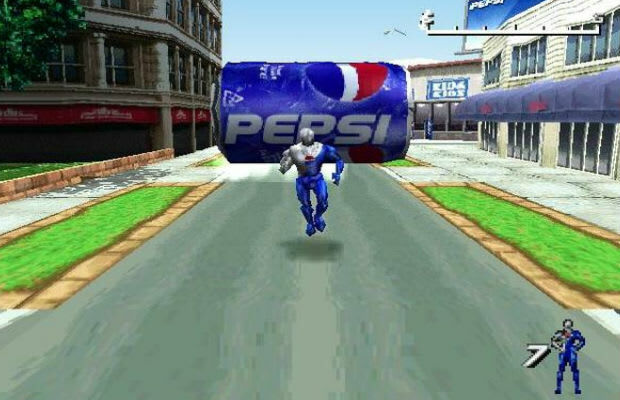 When it comes to advergames, Pepsiman has the more logos-per-second than any other. In it, you play the eponymous hero, and run through levels full of hazards while collecting cans of Pepsi for points. The weird thing about it is that a good number of the hazards are actually other Pepsi branded obstacles ranging from a giant Pepsi can that'll chase you to Pepsi trucks that'll smash into you. The game may look like garbage compared to today's standards, but mechanically it's nearly identical to current iOS favourite, Temple Run. If you can stand the ridiculous level of advertising saturation, it's not a bad game for those with quick reflexes.